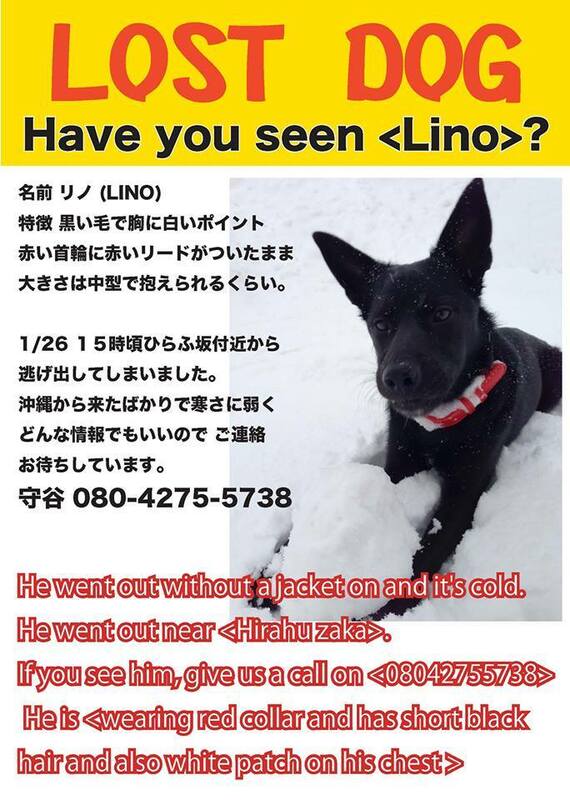 Not what we usually post about here on 360 Niseko, but since it’s for a good cause we’re making a public service announcement to help find a missing dog, Lino, last seen near Chalet Ivy in Hirafu at 2PM on January 26. 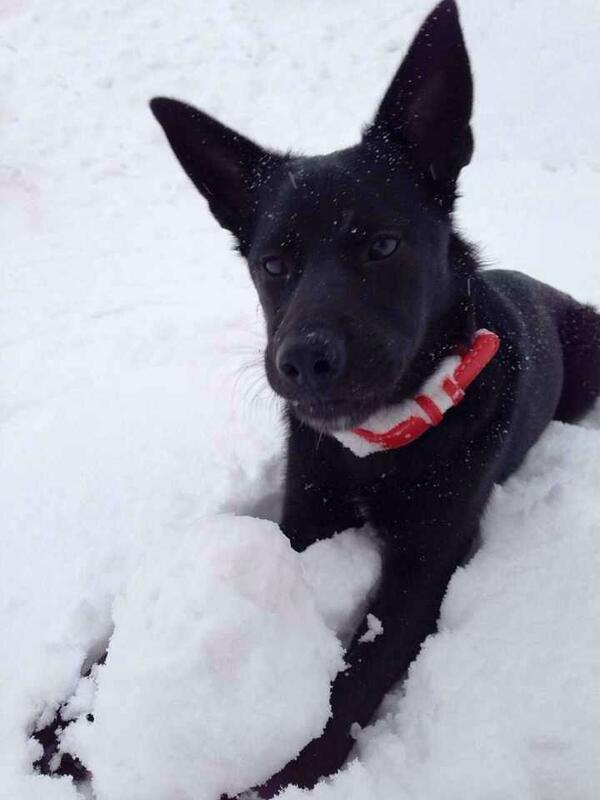 On January 26th at around 2pm at Hirafu-Zaka (next to Chalet Ivy) Lino saw a black car drive past and bolted off after it, his owner believes the dog thought the black car was his own hence why Lino chased after it. He chased the car down Hirafuzaka Street to the lights at the intersection and was not seen since. We searched for hours, posted on Niseko staff forum, put posters up around town, have been in touch with police and also local businesses to try and spread the word but unfortunately have not heard anything. We are desperate to try and get her home safe. Her owner is a local and he is a really kind/considerate person. – Was wearing a red collar with a red lead. – He has short black hair, pointy ears and has a white patch on his belly. If anyone has any information or has found it to please contact Hirafu-Zaka, Chalet Ivy, the police or Tatsu directly (the dog’s owner) on 08042755738. Awwwww, such a cute dog – I hope he’s found soon! Great news, Lino has been found! This story has a happy ending.